Hello my lovely readers! I have a special treat for you today. As much as I’m sure you all love hearing my experiences I thought it might be beneficial to hear from other writers who are or have travelled this journey as well. This will be the first of many author interviews with writers and guest interviews with others that I think will be interesting and beneficial to all you wonderful people. For requests or suggestions for future interviews please email me at thewritingpiazza@gmail.com. Without further ado, my interview with the charming Darren Gallagher. Thanks for agreeing to let me pick your brain today Darren, could you please tell my readers a little about yourself. 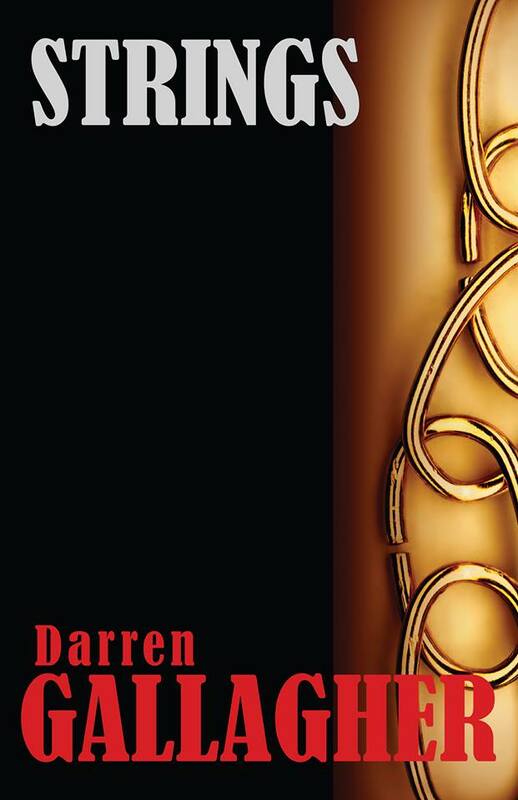 My name is Darren Gallagher, I’m from a small town in Ireland called Lifford, and I’ve been writing (seriously) now for just over 5 years. And you are the author of the book entitled Strings can you tell us a little about it? Strings is a collection of horror short stories, 33 in all. There is a wide variety of stories in Strings. Of course you have your usual horror stories; Vampires, Werewolves, Ghosts… but those are only a few of the scares within Strings. I have created some nasty little surprises for the reader. Sounds terrifying! And is this your first published work? This is my first book, yes! I’ve had stories published in anthologies and a few magazines over the last few years. Now I know you went the traditional publishing route. I thought my readers might benefit from hearing from someone who has been published in this manner. Who was your publisher? The publisher is Nocturnal Press Publications. They are a very small press based in England. How did you go about choosing your publisher? Actually they were recommended by another writer friend. He was due to have his book published with them and put in a good word for me. When I first told a friend of mine that I was going to go the traditional route he laughed and said everyone now days is self-publishing. What made you decide to go with that publisher as opposed to self-publishing? I noticed over the last few years that self-publishing is frowned upon big time. I didn’t want to go through the hassle of trying to “break through” that barrier on my own (even though I feel like I’m doing it anyway). Can you explain a bit more about that? I know a few people who have self-published and seem happy they have done so. Yeah I heard that/and read that with so many people self-publishing a lot of unedited “crap” was flooding the market so it became more and more that if you self-published it became harder to take you seriously. Even with reviewers, some won’t commit to reviewing if it’s self-published. I’ve come across quite a few while looking for reviews for Strings. I do know people myself that have self-published and are quite good. I’m still considering self-publishing one of my own finished books myself. Ok cool, thanks for expounding on that. That was really helpful! It’s good for those thinking of self-publishing to know some of the hurtles they are facing! So what do you like about the road to publishing that you’ve taken? The fact that my book is now published and available for people to read and buy. Haha, yeah, that’s gotta feel pretty good! Then tell us what you don’t like about the road to publishing that you’ve taken? This is why I am happy that I started What advice would you give to writers who are hoping to publish their work? Don’t give up! I know it’s hard searching, finding, and then convincing a publisher to take a chance on your book, but the rewards are well worth it. It’ll take time, and even more time for you to start to get recognized, but that’s the process. Also, do a little research on the company before you sign any contracts. We’re just about done. Just a few more questions. A big advantage of picking the brain of someone who has done what we hope to do one day is to find out what not to do. What’s the one thing you would have done differently if you had it all to do over again? Get out of that first contract a hell of a lot sooner than I did! That is definitely something we can all learn from. You have to be the biggest proponent of your work. If someone is just sitting on your manuscript like that (and you aren’t legally obligated to stay with them) move on and find someone who will advocate for you. And again, be very careful who you get into business with, you don’t want to wind up stuck in a contractual relationship with someone who could care less about your work and isn’t doing anything with it. I will talk more in the future about this topic so be sure to follow my blog so you don’t miss it! And Darren, speaking of future topics, are you currently working on another book? I am indeed! It’s called Broken Arrow and it will be my first novel! I look forward to its release! 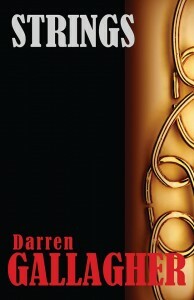 Darren, thank you so much for your time and for being a guest on my blog! Before I end the interview can you tell my readers where they can purchase a copy of your book? Absoultely, Strings is available from Amazon. Thank you for taking the time to do it! To all my wonderful readers, I hope you enjoyed this interview! I have a few more already lined up but if you have some ideas for future interviews or topics please email me at thewritingpiazza@gmail.com.